Home » Blog » Who owns your body when you die? Here’s a question for you – who owns your body when you die? Never thought about it before? That’s perhaps not surprising. Our bodies are such an essential part of what we are it’s difficult to think of a point in the future when it won’t be our body. When we die of course we’re no longer capable of ‘owning’ our bodies. But our corpse is still in existence. It must belong to someone – doesn’t it? This article looks at the issue of the legal right to dispose of a dead body and the case of Anstey v Mundle (2016). So who owns your body when you die? The answer to the question ‘who owns your body when you die?’ is both simple and rather confusing. The answer is – no one. It is not possible legally to ‘own’ a corpse, however, certain people have authority to dispose of a body. Those people are not necessarily the persons you might imagine would have that right. First and foremost the people who have the right to dispose of a body are the deceased’s personal representatives i.e. the executors of their Will or if there isn’t a Will the persons who are entitled under the intestacy laws to administer the estate. There are also some people who have a statutory duty to take control of disposing of a dead body lawfully. A person who is in lawful possession of a body has a right or duty to dispose of it. This could include the owner of a building where the deceased died and it can include coroners where an autopsy is required. A local authority may have the right to arrange disposal of a body in circumstances where there could be a risk to public health or public decency. This situation can arise where no members of the deceased’s family or friends come forward to claim control of the body. 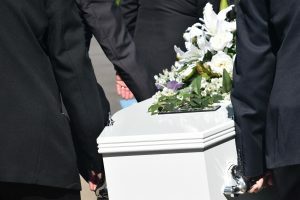 Arguments over the right to take control of a body are not common but might arise if there is a dispute between relatives about burial or cremation. Sometimes there may be a problem over the removal and retention of body parts for example by a hospital. The courts have on a number of occasions been asked to intervene in disputes about the disposal of a body. In finding solutions to those problems they have laid down legal principles about funeral wishes. In the case of Williams v Williams (1882) the court had to decide whether a deceased man’s wish to be cremated was binding on his executors. The deceased man died at a time when cremation was not legal in England and Wales. The man left instructions in his Will that his body was to be ‘given’ to Miss Williams and he instructed her to burn his body under a pile of logs and place the ashes in a Wedgewood jar. His executors ignored the deceased’s wishes and his body was buried instead. Miss Williams had the body exhumed and sent to Italy for cremation. She then tried to claim the expenses of the cremation from the deceased man’s executors. They refused. The court decided that it is not possible to ‘give’ a body to anyone because a corpse can’t be owned. As a result, the court decided the executors could ignore the deceased man’s wishes and did not have to pay for the expense of the cremation. In more recent times the courts have taken a rather different view about funeral wishes. The legal issues surrounding the question of who owns your body when you die was considered in Valerie Anstey – v – (1) Sonia Mundle (2) Cynthia Allison (2016). the reasonable wishes of family and friends. The court’s conclusion was that the body of the deceased should be released to a niece in Jamaica for burial there. Why is the Anstey v Mundle case important? The outcome of the Anstey v Mundle case is that funeral wishes expressed in a Will should be taken into account as one of a number of factors that are relevant if there is a dispute over the disposal of a deceased person’s body. So on balance, it’s probably a good idea to state your funeral wishes in your Will. That way, if there is a dispute the court can take your wishes into account. There are many reasons why everyone over the age of 18 years should make a Will. We guide our clients through the process of making a Will to help them achieve the best outcome for their families.